Whether you’re inside relaxing or out stretching your legs, Walter Drake gives you plenty of options to step out in style. Our wide selection of shoes and slippers ensures you have something for every occasion. From warm and cozy slipper options to shoes that show off your style, you’ll find the right solution for every activity at Walter Drake. Browse our entire selection of stylish footwear or narrow search results by price range, color, and size to find the perfect pair of shoes or slippers for yourself as well as every member of the family. Make Walter Drake your first choice for economical, trend-setting footwear that sets you apart from the rest. 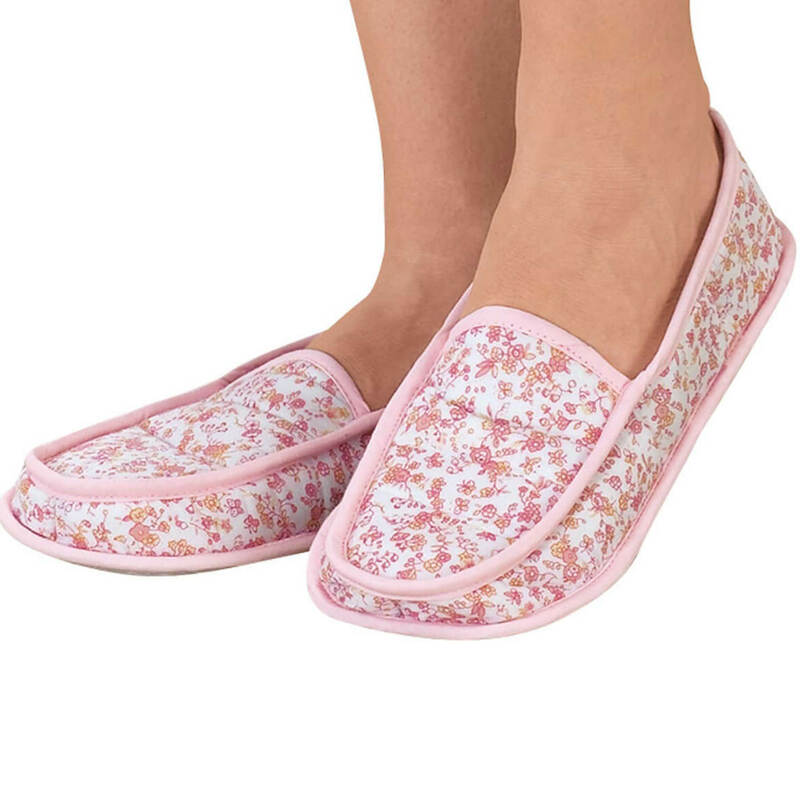 Soft slippers pamper your feet in cloud-soft luxury! These pink slippers are lightweight and oh-so-comfy. Nonbinding pink bands edge floral chintz bonded to cushiony foam. Step-in style features nonskid soles; machine washable. Imported. Medium (6-7), Large (8-9), XL (9-10).